A songwriter and planetarium do a collab. For his next gig, Kiwi indie singer-songwriter Anthonie Tonnon is collaborating with the universe. 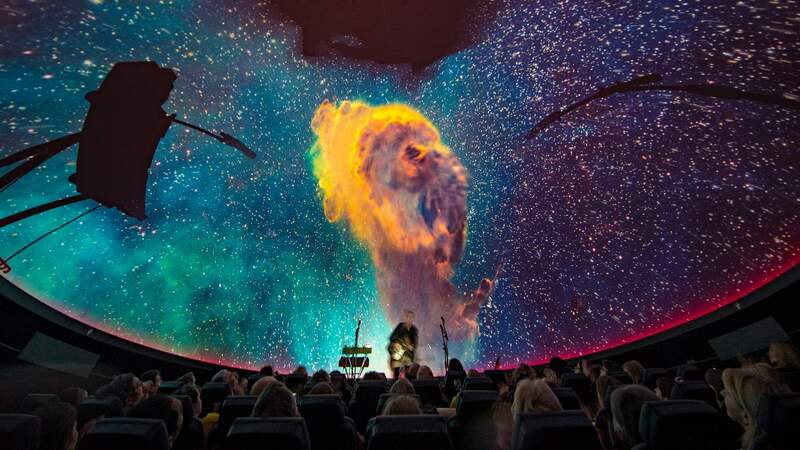 A Synthesized Universe sees the singer performing at the Auckland Stardome while the planetarium operates in real time. Accompanying the already spectacular visuals of the universe are custom animations by Andrew Charlton and a light show controlled by Tonnon's synthesizer-sampler. The end result is a wondrous, multi-sensory 360-degree night sky performance. The Auckland Stardome has been housed in Auckland's One Tree Hill Domain since 1967. In 1997 the Stardome opened New Zealand's first and still largest Planetarium theatre, where A Synthesized Universe will be performed.